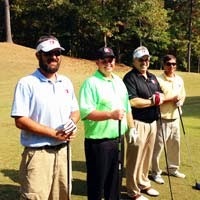 The Garver Survey Team in the Huntsville office recently participated in a Tennessee Valley Professional Land Surveyors Society golf tournament to raise funds for the replacement of a historical marker near the initial point for land surveys in north Alabama. Initial points are specifically declared points on the earth by which all surveys in the area are based. “Many people don’t realize the significance of the public land survey system in the development and settlement of our country,” said Garver Vice President Jerry McCarley, who is a licensed land surveyor and helped organize the tournament. 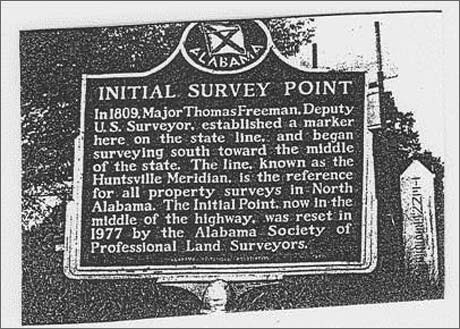 “Upon the sale and transfer of land from the government to an individual, all the land within the northern one third of Alabama was referenced to the Huntsville Meridian and consequently to the initial point,” said Jerry. Original historical marker, which has since been stolen. 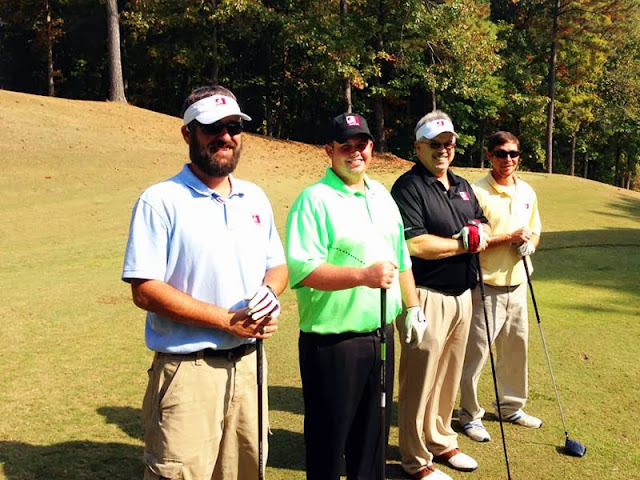 The golf tournament successfully raised the funds needed for the historical marker, which will enhance the level of appreciation for the significance of the public land survey system, its history and its future.